It’s lightweight and easy to carry around. You get a free extra saddle for the bridge. You have to buy a carry case separately. There are lots of guitars for players who desire a little bass to their acoustic sound, but it is hard to beat this decent little performer for what it costs. It replicates the classical double bass and softens the sound of the strings allowing you to slide from one note to another. As a bassist, you get to add one more trick into your toolbox with this capable piece. 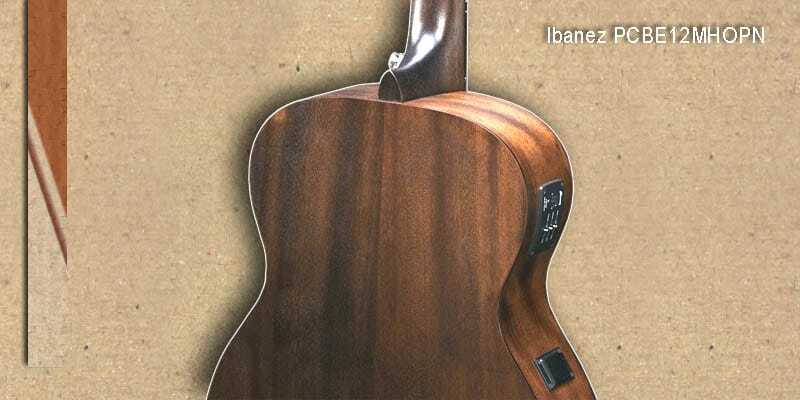 Ibanez acoustic bass guitar is one of the high-quality instruments at an affordable price and PCBE12MHOPN model isn’t any different. There’s no denying that there is the premium aspect of play with this guitar. It is further accentuated by the high build quality and solid performance. This musical instrument looks and feels premium to play and hold. This makes it the one of the most capable acoustic bass guitars money can buy. It is a great choice for beginners and advanced players alike and suitable for just about any scenario. 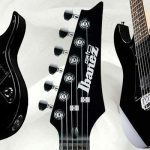 The Ibanez PCBE12MHOPN features durable and quality materials that are well done explaining the beautiful appearance. It was thoughtful of the company to use Mahogany for the top back and sides, it is neatly finished to give it a brilliant classic look. The company chose maple for the neck and fretboard and rosewood for the bridge and sound hole. Expect to find smooth and defined curves and edges which add to comfort and convenience when playing. It is as functional as it is good looking yet durable enough to stand up to years of playing courtesy of its sturdy construction. 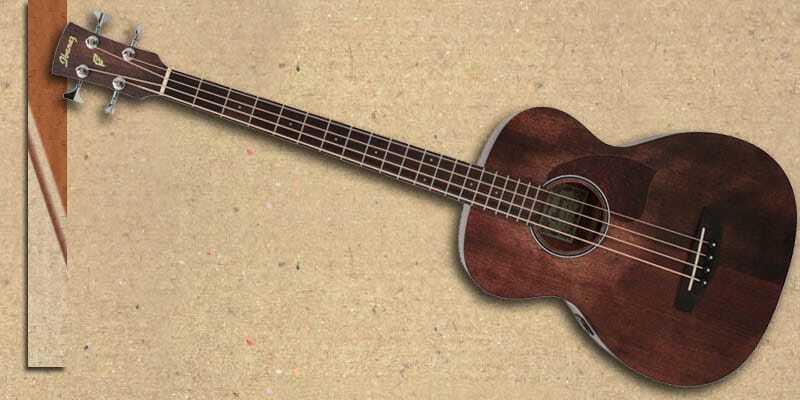 The acoustic bass guitar is also lightweight so you get to play it for long hours without feeling weary. It is crucial to check the dimensions of a guitar before making the decision to buy it. This guitar measures 40 x 5 x 12 inches. This unit is moderately sized giving you the most comfortable hold however long you decide to play it. The full hollow mahogany body pairs with the solid maple neck to produce amazing sound even when you decide to leave your amp behind. Effective hardware has been included to ensure that the sound is produced in lovely smoothness and is less ear wearing. Many buyers attest to the great definition and plenty of range this guitar produces. The profile is well balanced with clear trebles, rich lows, and wide mids. 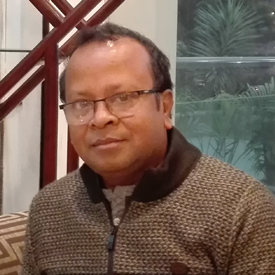 It is reliable and consistency in performance. You will find an efficient onboard tuner and an equalizer for adjustments to ensure the intonation is always top drawer and suit your demands. The quality builds this piece boasts brings that familiar playability you have grown to love. The ergonomic Grand concert body shape improves your access to the frets making it much more playable than your ordinary guitar. At less than half the price, you get the same great quality sound with this guitar. You need not spend a fortune when you can shell out much less and enjoy a similar experience. You may not need an amp to practice. However, the drawback of needing amplification eventually catches up with you whenever you need to perform to a large audience. If you decide to plug yourself in, you can still deliver a rich, pure and beautifully balanced sound down the line. 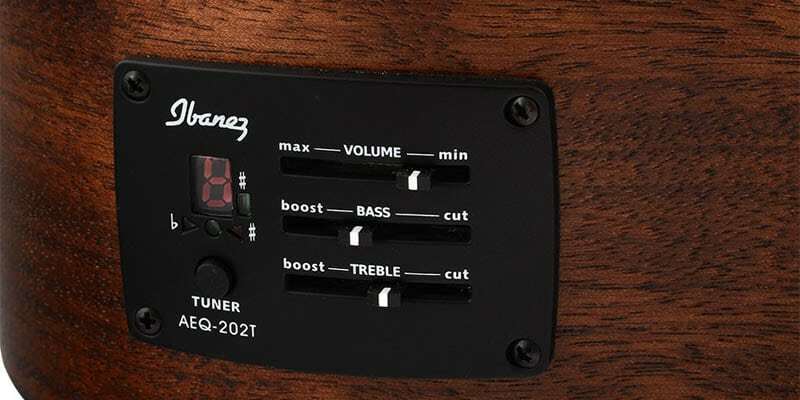 You plug it into an external amplifier thanks to the included Ibanez’s AEQ-2T preamp. The preamp comes with a 9V battery for power so you shouldn’t worry about spending any more cash on batteries. You will find a ¼ “output jack for connecting to the external amp. 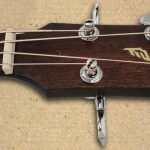 There are plenty of reasons to invest in an acoustic bass guitar. The acoustic bass is a distinct tone and this guitar manages to capture the tone in all of its glory. The lows are massive and the trebles refined giving an impressive balance. The natural woodiness and tone of the guitar and the noiseless aspect makes it a must-have in a recording situation. This is one of the few models you can rely on as far as the ultimate acoustic bass tone goes. Its resonance is lively, the vibrato is superb and for the cost, it would almost be rude not to grab one.